Looking for lakefront home with separate living quarters? This lake estate is your answer. This property has 2 quality built homes and 695 feet of water frontage. It has 3- 3 bedroom septics already installed. Current owners have approved subdivision plat that can convey with property that would allow 3rd home! Survey in place but not recovered. 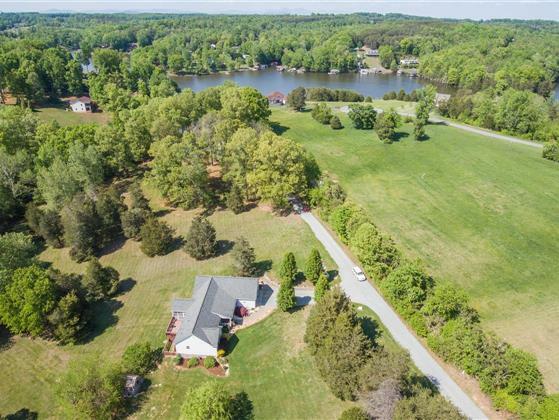 Unique opportunity for lake living, live in one home and lease the other home! Additional dock can be built. Additional home can be used as a 4 bedroom.